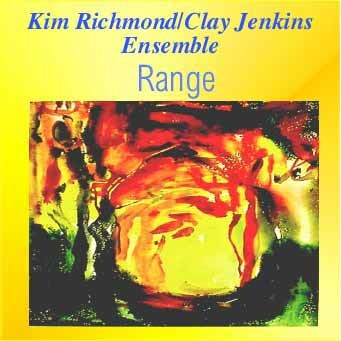 Kim Richmond and Clay Jenkins bring to this recording their commitment to creative music that is expressive and based on a spontaneous and improvised approach. This form of jazz is very subjective and individualized, never set or safe, always varying. Both leaders had their musical beginnings nurtured at colleges that were notable for jazz. Kim graduated from the University of Illinois, while Clay came out of the famous program at North Texas State University. Both musicians gained experience with well-known jazz orchestras on the road: Kim with the Stan Kenton Band; Clay with Kenton, Buddy Rich and Count Basie. Since settling in southern California, Kim has been with the Los Angeles-based bands of Bob Florence, Bill Holman, and others; Clay is a member of the Clayton/Hamilton Jazz Orchestra, the groups of Joe La Barbera and Bill Perkins and many more. The music presented here is very important to both Kim and Clay: bebop-based but of a freer nature. Presented here are six original compositions and two standards. The standards, You Don’t Know What Love Is and Soon, are given unusually free style. One of Clay Jenkins’ originals, 47 Ways, has a medium-tempo, folksy treatment that takes on a "greasy" quality. The other, 900 Heartbeats, the ballad of the album, shows off a lyrical and plaintive aspect of Clay’s trumpet sound. Of Kim Richmond’s originals, Data Base builds from the first propelling rhythmic figure. The title tune Range provides a suspended, expansive atmosphere, while Rails is bluesy and "rambly" in character. Corrective Measures, with its angular lines, was inspired by some of Keith Jarrett's pieces. The Ensemble includes Joe La Barbera, a member of Bill Evans' famous last trio; Joey Sellers, leader of the Jazz Aggregation, an 11-piece ensemble recorded extensively on Nine Winds Records; Trey Henry, veteran of the Maynard Ferguson and Gerald Wilson bands; and Dave Scott, who, although he exclusively plays piano on this CD, is a fine trumpet player and composer who has played with Gerry Mulligan and Clark Terry.